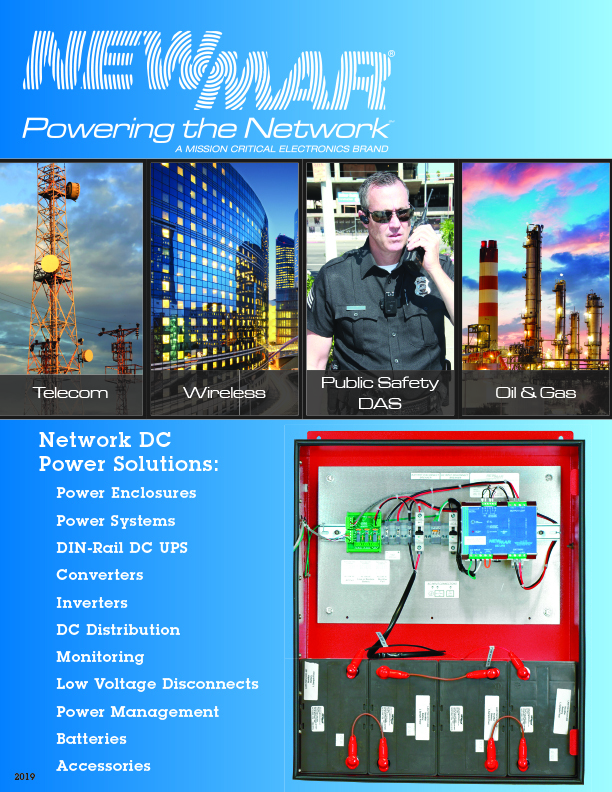 Back-up power is a critical element in the reliability of any network. Configuring a system that will survive in the intended application requires close attention to detail. Large systems/central office applications typically utilize well engineered/integrated DC systems with a goal of providing five 9’s reliability (99.999%). Remote sites and wall/pole mounted enclosures are in similar need of high reliability but lack the space and budgets of Tier 1 systems. However, with good engineering practices and component selection, high reliability and economical DC power can be achieved in these smaller, often hostile environment applications. Status monitoring adds to reliability in performance as problems can often be detected before total shut down occurs. Form C contacts are effective and simple monitoring and typically activate on AC fail, running on back up, battery fail, and bad battery conditions. Monitors which data log and communicate status via Ethernet can also be incorporated as a separate component. Integrators are best served by utilizing DC systems that are designed for enclosure applications rather than trying to cobble together an interconnected assembly of various components and then going through the often painful proving out process. DIN Rail mount DC UPS are now available in units that incorporate all essential functions in one convection cooled device: battery charger, power supply, low voltage disconnect, temperature compensation, battery health monitor and alarm contacts. 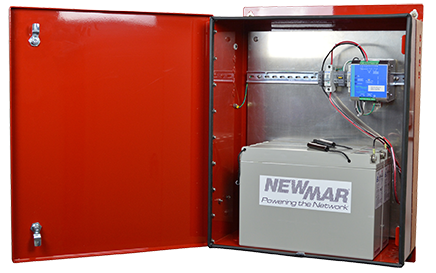 Typically units are available in 12, 24, 48 volt output in power levels from 100 – 500 watts, which cover the majority of enclosure power requirements.